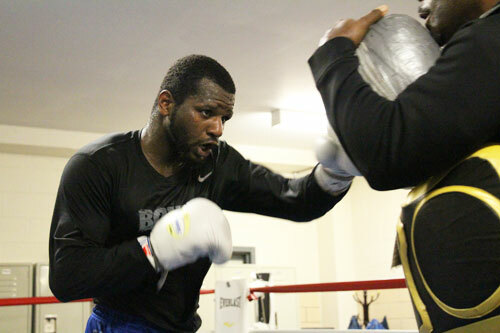 After ten years as a professional boxer, junior welterweight contender Hammerin’ Hank Lundy, 26-5-1, 13 KOs, only has eleven more days to wait for his first opportunity to win a world title. Lundy faces WBO 140-pound champ Terence Crawford, 27-0, 19 KOs, on Saturday, February 27th, at Madison Square Garden Theater. The bout will be televised live on HBO. 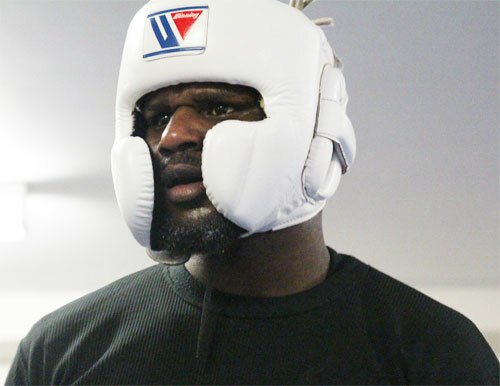 Getting a shot against Crawford, a man many feel is one of the very best pound-for-pound fighters in the world, may seem like a mixed blessing for Lundy. 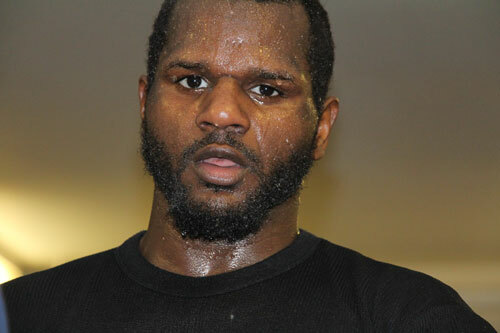 However, the always-confident South Philadelphian is raring to go for this, the biggest fight of his career. 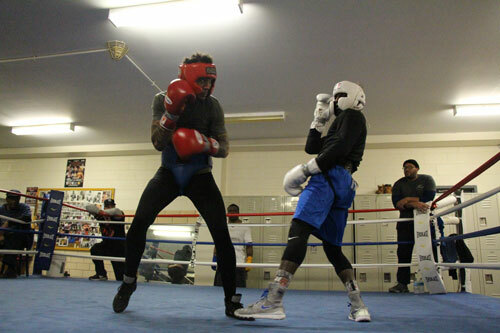 On Tuesday at an open media workout held at the Marian Anderson Recreation Center in South Philly, Lundy promised that he’d show the world against Crawford. The out-spoken boxer addressed the large contingent of press, photographers, as well as a hoard of fans and well-wishers. The challenger appeared loose and confident and clearly sounded ready for the fight of his life.